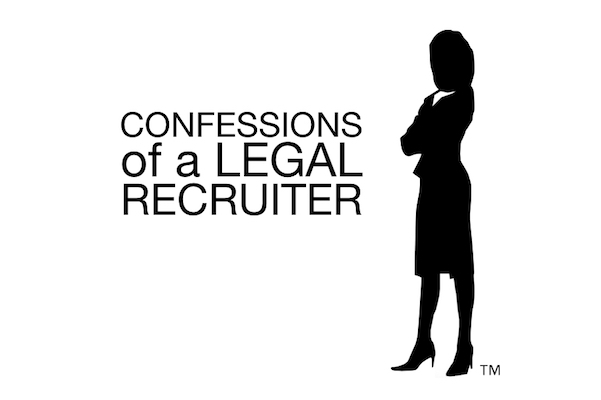 Confessions of a Legal Recruiter: Do you really want to refer your friend? The truth is that people don’t make recommendations any more. When was the last time you ever made a recommendation for a good hair dresser, a restaurant or a doctor? Or anything, for that matter? If you want to do a good deed, refer your friend to a trusted recruiter. A recruiter has as much at stake as you do. The recruiter’s reputation is on the line, every time they present a candidate. Work with a legal recruiter who is highly regarded with a track record of successfully placing candidates in firms where all parties are served. “Your friend may not be the ‘best fit’ for the position. Think about what could go wrong? Don’t do it. It’s not worth it.”— Shari Davidson President On Balance Search legal recruit services. Do you really know why your friend wants to make a move? Why are they looking in the first place? Is your friend’s motivation because their current firm has a toxic work environment? Are they being asked to leave by their current firm? Do you know what your friend’s track record is at work? Do you have and know all the facts? Believe me, I doubt it. Referring a friend may present a potential conflict of interest at the firm. “Referrals can get messy, it’s not the best way to help your current firm.” — Shari Davidson. What if it all backfires and things go terribly wrong? A poor referral could leave others to begin questioning your judgment. Or commitment to the firm. Don’t take unnecessary risks with your career. Your reputation is everything. It’s all you got. Why would you gamble on anyone other than yourself? Even the best, don’t always measure up! What if they wind up out performing you? Did you see that coming? Do they have your back? Are you part of the strategic planning process of the firm? Do you really know what is going on? Could the partners be downsizing, is your job on the line? Simply, there is no upside to this. Last but not least, do you want to jeopardize your friendship? You are taking on unnecessary risk when you refer someone? You cannot afford to put ‘your reputation’ on the line. It’s complicated. See things from your friend’s point of view. It’s who you know and how you work it. A great recruiter get’s to what is most important to the candidate and then seals the deal. During negotiations many top prospects are lost by not providing the right incentives to seal the deal. There are lots of qualified candidates out there, you need to get the deal done before someone sneaks in and steals the position out from under you. Most law firms make the mistake of looking for a specific set of skills and experience, turning a blind eye to any profiles that fall outside the lines of a pre-determined list of qualifications. Just because everything looks good on paper, doesn’t necessarily equate to a good fit. Work with a recruiter who can read between the lines. A savvy recruiter realizes that important information about the position such as the firm’s culture and the critical requirement must be properly communicated. A law firm’s best talent can’t always be found in its backyard. Firms are faced with the challenge of finding talent with specialized skills and experience. That’s why today, more and more law firms are looking to broaden their searches. Law firms want the best talent and looking for creative ways to bring on the right candidate. It’s important to have all the tools necessary to secure the very best. That’s why legal recruiters and law firms strategies for sourcing top talent needs to be innovative. Relocating a rainmaker from outside the area is one such solution. Recruiting is a creative and intuitive process. A good recruiter spends time getting to know what is important from the candidate’s point-of-view and the law firm’s perspective. You’ve got to get it right, to seal the deal. On Balance offers great insight and industry intelligence. Shari Davidson, President of On Balance Search Consultants, advises law firms on how to take a firm to the next level and helps rising talent make the transition to the right law firm. We pride ourselves in understanding our clients and candidate’s needs. On Balance has an outstanding track record placing strong candidates with high retention rates. Your book of business has real market value— it is time sensitive. Clearly detail your book’s value by client and how much revenue each client contributes. Identify what verticals have historically were most profitable. “Do not wait: the time will never be ‘just right’. Start where you stand, and work it. Use whatever tools you may have at your command. Better tools will be found as you go along.” ― Napoleon Hill. 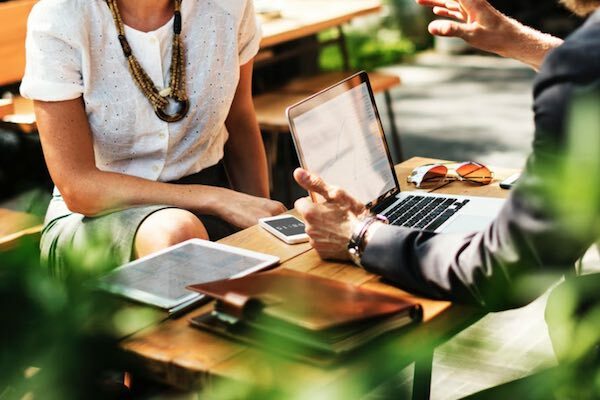 Working with a legal recruiter who has the right connections can help get the deal done. From understanding all the legal issues helps in big ways. Most lawyers spend little if any time understanding what their book is worth and how to increase value. An earn-out arrangement guarantees a minimum level of performance. If the client retention rate drops or the revenue drops, the payout also drops. A book with lots of recurring revenue brings in more money than a book of transaction-heavy clients. Location is also very important, here in the Metro New York area a book commands much more value than most parts of the country. At big market adds longevity and makes your book stronger. It’s all about the proper strategic fit between all parties involved. The objective is to increase the value of the business for all parties involved. There has to be strategic alignment and synergy that increases the likelihood for increased profitability. This also applies when parties are coming together in a partnership. There has be value recognition to share resources and capabilities to be on an equal footing. The better the strategic fit, the better the outcome for higher profit. Strategic Fit: alignment and synergy. Services: Will your scope of your expertise work well in the new business model of the firm? 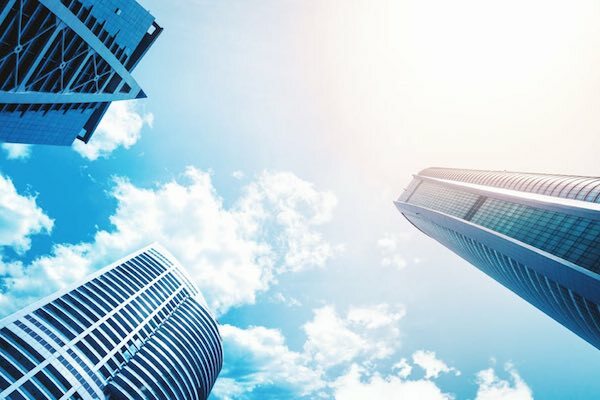 Processes: What systems does the new firm have in place to capture more marketshare: technology, marketing, network, servicing? Your book is only valuable to a firm that can leverage your contacts. It can either be a strength or a weakness, it’s really important to find the right fit. It’s all a matter of telling a story that makes sense. The effects of hiring the wrong people are appreciable and costly. Lasting relationships are tied to a shared sense of competitiveness, purpose, and culture. Many top lawyers are looking to make the move. Why, because they just don’t fit in anymore. Culture embodies everything from the way people get on, to the core values the firm was founded on. It’s difficult to put your finger on it, but you know when something isn’t right. When the culture and the values match-up, everyone wins. When it becomes fractured, it get’s messy. Every firm has their corporate culture, one day you’re at the top, the next day you’re not a team player. The culture within the firm may have shifted during the last merger or acquisition, and now you’re being rejected because you don’t share that passion. Values are threaded throughout all aspects of the practice, woven into the relationship system as a whole, and reflective of these values. Are creative problem solvers. They find solutions. Trustworthy and have an excellent reputation. Connected to the players and knows what the word on the street is. Tell me what you bring to the table, I’ll place you with the right firm. Patience. It may take a few weeks or months to find the right firm, timing is everything. Not a problem. You’ll be back at the top of your game, bringing in better clients and getting bigger settlements. Reprinted with permission from: Inside, Fall 2016, Vol. 34, No. 2, published by the New York State Bar Association, One Elk Street, Albany, New York 12207. Law is a male-dominated profession. There are more doors open to women today, but women have not achieved economic parity with men. There has been tremendous progress, but the earning power of women is still considerably lower than that of men. 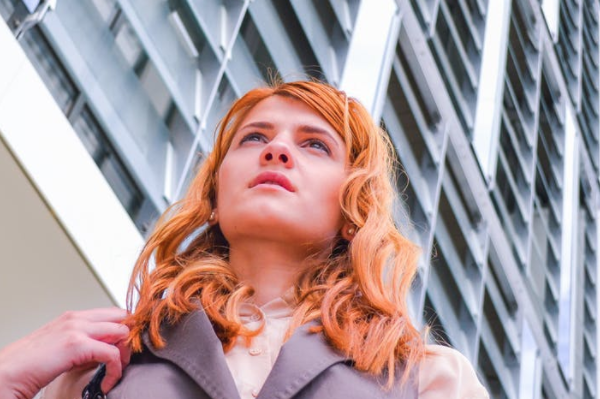 Women are increasingly represented in many top leadership roles here and around the world, as women advance professionally, they have begun to redefine themselves. My path as somewhat unconventional: after clerking for a federal judge for the job market was not doing well, I decided to take another clerkship in the Bankruptcy Courts. I fell in love with bankruptcy and when I “hit” the job market I decided to avoid the big firm game and pick a smaller, more collegial place where I saw great growth opportunity and the ability to balance work/life. Women today don’t have to follow the lock-step path of your colleagues; don’t be afraid to explore other opportunities. Work closely with people who you admire and respect. Develop good relationships with your colleagues, understand the roles they play, the demands and pressures of the firm, and what made them successful. Be smart, volunteer assignments others may not want. It worked well for me, might work for you too. Be open to advice from many, look at what they are doing and think whether that works for you, be willing to move, accept change as it comes and go with it. I got to where I am today by building a strong network of colleagues, mentors and sponsors while gaining experience and developing skills to excel in my dispute resolution practice. I would advise new attorneys to network, build relationships, follow up and do what you say you are going to do. To be successful in the long term, attorneys must build a brand and it’s never too early to start. Some of the things women think are their issues also are issues for many men. So they need to address them together. The biggest obstacles vary from firm to firm or company depending on the cultures and personalities. So many things have to change for all genders in firm cultures and policies that motivate behaviors. Often lip service exists for good and fair things that is counter to what actually exists in the culture and unwritten rules. Women need to be more aware of the intersection of gender and generational attitudes. Different generational attitudes inform and influence attitudes and behaviors affecting all aspects of diversity. If the same messages are going out to everyone, be aware that they are being received and interpreted in different ways. I believe this is one reason more progress has not been made. I advocate cross-generational conversation and conversations with men. In terms of strategies for getting around the glass ceiling, there is nothing wrong with taking an in-house position for shorter hours and accepting lower pay. Not everyone wants to be an equity partner. Women Partners with books of business, build them organically, whereas most men inherit their books from other men. This observation comes from my consulting practice as well as from my research in this field. In light of this, what advice would I offer to younger women seeking to build a book of business? Don’t allow others (men) to make decisions for you, e.g., if you have a trial in another state, . . . don’t allow the lead partner to decide that you should stay at home for your family. If you are second-chair on the case and want to be there at trial, speak up in a firm-but-nice-way. Many attorneys, both men and women, have struggled and continue to struggle with work / life balance. 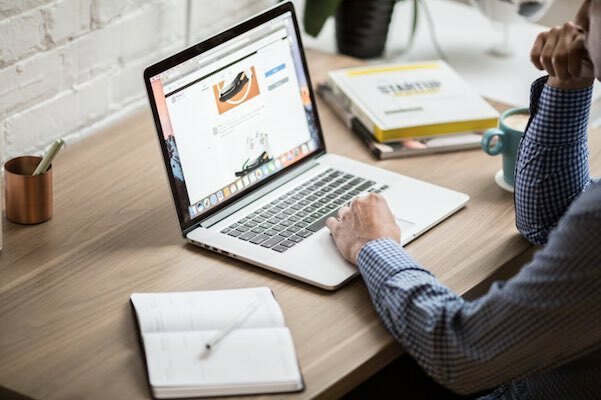 Fortunately, many law firms have recognized this issue and have put mechanisms in place that allow its attorneys to help achieve that balance such as a reduced hour schedule, flexible hours or working remotely. This has allowed law firms to retain the best talent in the long run. In order to break through the glass ceiling, you need to be proactive. It’s your career, so you need to advance it. 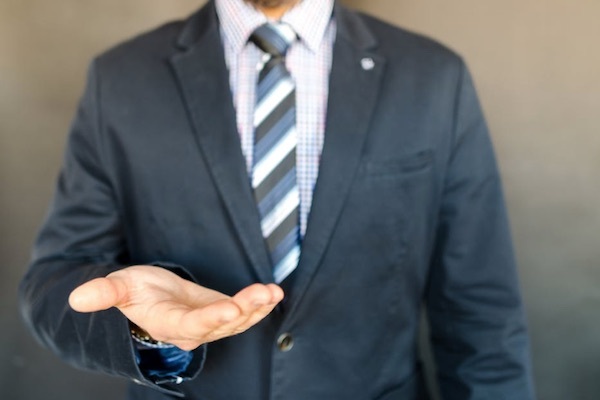 In addition to developing a solid book of business, you need to volunteer for administrative projects to demonstrate your leadership skills and a commitment to the firm. I have not yet faced the usual “women’s issues” of motherhood, marriage, and running a traditional household, but I did go through with caring for my parent and handling a plethora of issues after she died very early on in my career. I took a break after my third year for these reasons (and not some of the more traditional), so I would say I do have experience with re-entering the workforce and juggling work life balance even without being a mother. Women who are fed up will turn to an alternative firm, (like mine and succeed incredibly), set up their own practices or look for non-traditional legal roles. So much can happen with persistence and positivity. Women have come a long way but still have a long way to go to achieve parity. I see movement towards the goal of parity tied to increased business development of women which in turn is tied to women’s initiatives and sponsorship and critically, rising numbers of women in positions of authority in business, who will send work to women attorneys. 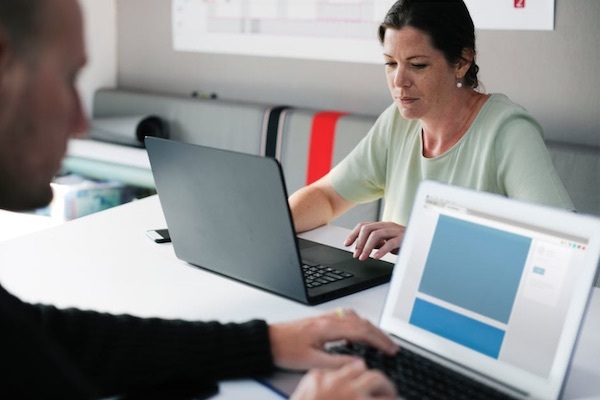 Some younger women and men are choosing not to reach to the glass ceiling, they want flexible work arrangements and some just opt out of the law firm partnership track. I got to my current position by focus and hard work – and maintaining relationships. If you are just starting out, take time to think about what you want to do – both in work and your personal life. Be upfront about your goals with your superiors. Seek out work – it will not just come to you. And don’t lose sight of what you have outside of work – I think balancing work and personal life is very difficult and ever-changing, but very important for your ultimate happiness. Is it possible to thin you can have it all? Absolutely. No one says it is going to be easy, but yes these women are at the top of their game. It comes down to what is important for you, for many it is about balance between their personal lives and their careers. This is really a personal decision, and thankfully there are enormous opportunities for women in law. With talent and hard work, you can achieve whatever you want. Shari Davidson is president of On Balance Search Consultants. Shari advises law firms on how to take a firm to the next level and helps rising talent make the transition to the right law firm. Shari has facilitated programs for Fortune 100 companies, non-profit organizations, adult ed, colleges and universities, and publicly held programs, including Where Does All the Time Go When You’re Having Fun?, Take the Fear Out of Goal Setting, The Hidden Job Market and Interviewing & Job Interview Preparation. Her email is shari@onbalancesearch.com. Grizzly ghouls from every tomb are closing in to seal your doom! Don’t make the move to another law firm without a good recruiter, it’s just too scary to go it alone. Creatures crawl in search of blood, to terrorize y’awl’s neighborhood . . . Darkness falls across the land, the midnight hour is close at hand, and whoever shall be found without the soul for getting down . 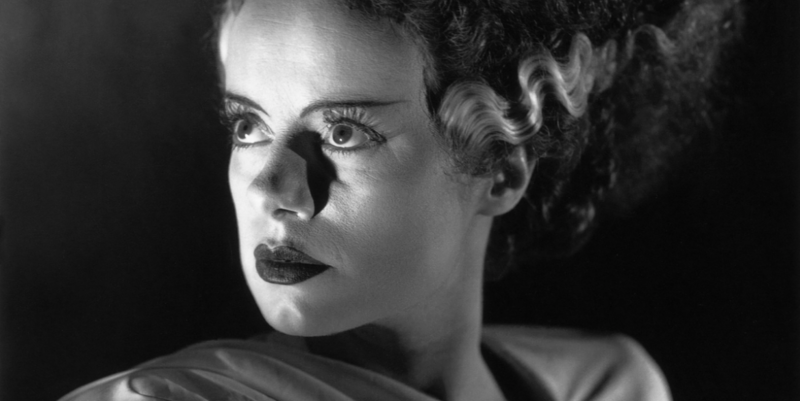 . . must stand and face the hounds of hell, and rot inside a corpse’s shell — Vincent Price, The Thriller. Recruiters know where all the best houses are, and which ones have the best treats. Let your head hunter find the right house for you. No one knows the ins and outs of who is looking for the perfect new partner, it’s just too important to not work with a pro who knows their way around the neighborhood. One thing you can do to make the whole process a little less scary is to do your research on the law firm you are looking into or interviewing for. Check out their website and see if they are worth sending your resume into. Just like looking out for houses with the lights on while trick or treating, work with your recruiter to sort out the good, the bad and the ugly. Don’t get lead down some dark deserted alley with no lights on. Let’s face it, there are a lot of blood sucking firms that will bleed you dry. Who better to protect you from the spooky firms that will send you to an early grave. Work with a highly skilled recruiter to find the firms that give out the full bars (or law firms with the best chances of getting an interview). The foulest stench is in the air, the funk of forty thousand years and grizzly ghouls from every tomb are closing in to seal your doom . . . and though you fight to stay alive, your body starts to shiver, for no mere mortal can resist, the evil of the thriller. Can you dig it?! — Michael Jackson, The Thriller. One of the worst things you can do is show up to the interview without the right energy. Acting sort of removed or giving off negative energy is a killer. Good eye contact is essential, make sure you don’t have egg on your tie or on your face. Dress for success, make sure you get a good nights rest the night prior to your interview. Your going to need every advantage, it’s a jungle out there. Let’s murder ‘em. It’s a good idea to bring an extra shirt, tie and breath mints with you. You started to sweat on the way to the interview, okay change your shirt and freshen up your breath. Your not dead yet. And don’t get too crazy with the cologne and perfume. Be cool, maintain your calm and bring your ‘A’ game. Your nervous, get over it. Do not to speak from the back of your throat or groan and grunt ‘cause the question caught you off guard. Practice a few days before the interview and be relaxed. You’ll never hit the curve ball if your scared and uptight. Be honest with your recruiter and your interviewer. A recruiter can’t help you if you don’t tell them what you want and what you’re looking for in a position. Tell them exactly what you’ve taken from your experiences and they can help you to don your costume for your big interview. Likewise, lying in an interview or on your resume can have serious consequences. Don’t make the mistake of egging houses. You certainly won’t be allowed back next year! Interviewing doesn’t have to be as scary as All Hallows Eve! Give us a call at 516.731.3400 so we can make the process a little less frightening. Integrity. Perseverance. Passion. Long Term. Do you have Grit? Law Recruiters are looking for more than just good lawyers these days. You won a few trials, so what? Do you really have what it takes to be a part of your dream firm? If you have that winning way, yeah you know it, you got Grit. A Gritty lawyer shows passion. Passion not only in what you know, but also in what you don’t: in what you hope to learn. This passion should come across in your interviews. It will show your potential employer your Grit and willingness to learn and grow as an individual and a lawyer. Your passion is your work and you can display this by putting in your all at every point. Grit is what all the top law recruiters are looking for. Give us a call at 516.731.3400 and we’ll coach you on how to profit from Grit. Definitely do not say these four answers while vying for a senior executive position. You’ll hear this at almost every interview you go to in your life. It should be an easy question. Are you sure? Maybe you haven’t interviewed in a while. It’s more of a statement than a question, though. Question/Statement: Tell me about yourself. Do not answer: Well, after work, I go home and I play with my five cats until sundown. Nothing against cats, but the interview does not want to hear about your conglomerate of cats and cat toys. This is another pretty popular question. A skilled recruiter is going to ask this one for sure. Do not answer: Pecan pie. It’s a guilty pleasure of mine. Although humor can be a good way to show you’re a good person to have in the office, the recruiter does not care about your eating habits, let alone your cats. This question is bound to come up, so make sure you know your stuff front and back. Like most other interview questions it is less about what you really do and more about what you can bring to the table. Question: What can you tell me about your past experience at so and so? Do not answer: I really liked my job at so and so, but the people were just so boring and the boss came in with crocs on every day. You may not have liked the people that you worked with, but your boss’s fashion sense is definitely not a professional reason for your departure. The last question is not unlike the others, but may take a little bit more thought and research into the industry, the company, and your own experience to find the right answer. Question: What kind of salary are you looking for? Do not answer: Whatever will help me keep up my mysterious lifestyle. Giving a vague answer is often times a good response to this question but certainly not this one. These answers may seem silly, but the questions are no joke. In order to be successful at any job interview you need to be able to formulate the correct answers to these and many other questions. Give us a call at 516.731.3400 and we’ll coach you on the right responses to these questions. Fill out our brief questionnaire and we’ll get started.